Check out the following sites:- 1. www.whizzekid.wordpress.com for tonights ceramahs and functions from both sides of the political divide. 2. www.semangatmerah.wordpress.com on matters relating to SNAP,DAP and PAS in particular. 3. www.confuseall.wordpress.com breaking news and Dato “S”. SUPP and BN cybertroopers find out more and get it right Car No. QRS….4. www.borneotalk.wordpress.com on to a SAFER YOU..
Its not too often that we can come across something which is so significant. SUPP should bless their LUCKY STARS that there are still “some” supporters left that are willing to stand beside them and help them in their hour of need. A political analyst said to audie61,”just can’t imagine how come SUPP members are not coming all out to help in N9,N10,N11. I can’t imagine why SUPP is finding it so difficult to attract even their members to come out in droves. Last night the “team” went down on the ground to check on a DAP ceramah at 101 shopping area in Kuching. Well,cars were lined up on both sides of the road and gauging by the turnout it seems that SUPP will have some difficulties again unless they come up with a more than “CREATIVE and ADVENTUROUS WAY” of pulling in the crowd. It’s no use using outside creative minds when they are so many ‘available talents and able working personnels” in Kuching. A BN candidate from a semi/urban area even commented that these “outside” help should stay in the background as he has experienced “cleaning up the dirt they left behind. The locals will feel betrayed and they are not even sought out to help as if they are looked down upon. It’s a BIG BIG MISTAKE for local based parties to think that locals are not good enough. Anyway to cheer up some SUPP unbelievers this might just make your day. “S” factor also means the Kuchingnites in SUPP are dead Serious. A division SUPP member even said we must give positive vibes but amongst your ranks they are so many unhappy and dissatisfied and left out members. Its time for personal and caring touch to your own members. Believe it and call up all your members. its time to fight back and SINK AND SWIM together. One can never predict what happens in politics.There are reasons on why certain things are done like this while others like that. We are often “fooled” into thinking and complacent about our positions and usually the obvious is not revealed until its thrown back at us. Burung Kenyalang 2011 said to audie61 ” Was Anwar surprised…? Did Anwar not see this AS perfect timing..?? Isn’t this a way of telling Ng your time is up..? Hasn’t Ng played too much politics for his own good? Well maybe this move also took BN by surprise.It could also be done to see how far and true Dominique Ng will stick to party lines and discipline. The full report from the internet portal is copied here for you to make your own assessment. In a surprise move, DAP and PKR will be swapping two seats they won in the 2006 Sarawak election. At a press conference in Kuching tonight, the Sarawak PKR leadership said it will swap the Padungan seat it now holds for the Batu Lintang seat currently held by DAP. This could mean incumbents Dominique Ng (Padungan) and Voon Li Shan (Batu Lintang) may be left without seats to contest. Ng (left) and Voon are considered mavericks in their respective parties. The press conference was attended by Sarawak DAP chairperson Wong Ho Leng, PKR state chief Baru Bian and PAS state commissioner Adam Ahid. The last minute swap comes as a major surprise because Padungan is PKR’s first and only seat held in East Malaysia. Moreover, Ng, a former DAP leader who fell out with the party in the 1990s, is well rooted in Padungan. The move is potentially risky for DAP because Ng has a history of standing as an independent in three-cornered fights. 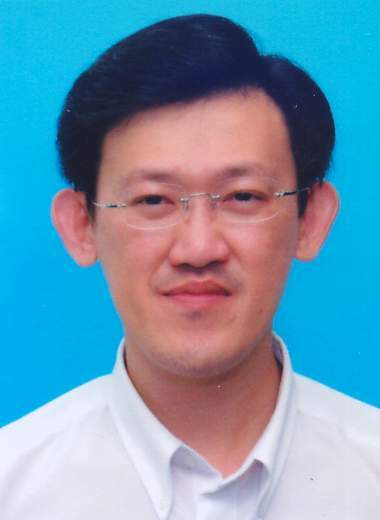 Voon, on the other hand, is believed to be a thorn in the current DAP leadership’s flesh. Some see the move as attempts by both DAP and PKR to impede the political careers of Ng and Voon. He said that even Anwar was surprised about it when he called the de facto PKR leader after learning about the announcement. “He (Anwar) is having a ceramah, so I will meet him afterwards. Ng said he has made advance preparations for the election and that “even my posters have been printed”. However he refused to comment on his next move, besides saying, “this is not the end”. As to whether he would consider running as an independent, Voon said: “I don’t know anything at the moment… let them decide. Let it become that way. The three state Pakatan leaders also confirmed that PKR would be contesting at least 24 seats while DAP and PAS would be contesting 15 and five seats respectively. PKR’s negotiations with Sarawak National Party (Snap) are still ongoing. In an angry tone and pointing his fingers at the report which appeared at one of the internet portal PBB Youth Vice Chairman Pandi Suhaili chatised the so-called report and in one of his strongest offensive statement to date said,”BN Kalah”over my dead body” as the figures from the imaginary or ‘secret’ polls were seemingly meant to discredit the Chief Minister and his leadership. What was more glaring was that it was carried out by the information department and this in turn has terrifed both Putrajaya and the ruling household in Petrajaya. Why,Who and Whose orders was this made public to the internet portal? According to the report, both leaders came to Kuching to force Taib to step down.“I have seen them (the results) with my own eyes. In this election, Najib and Muhyiddin know that it is inevitable that Taib will lose. “He is finished… the results from BN’s secret polls is devastating. Najib and Muhyiddin came down to tell Taib there is not going to to be anymore compromises,” said an insider. It seems the spin on this story is being done to discredit not only the CM but also halting the ‘feel good factor” and the momentum of the BN as it prepares to face the opposition. The Pakatan cybertroopers are already entrenched in their foxholes and they are training their guns towards the BN Unit media. BN losts the war in 2008 GE and the guns of the Pakatan are all geared up to fight and slug it out to win the blogsphere. 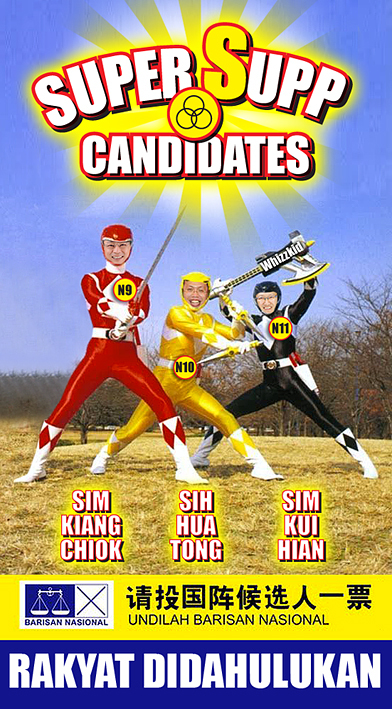 CM Taib and his BN candidates needs all the necessary help they can muster . Ground zero does not look too good according to PRS president when he was quoted to say,”PRS was aware of the powerful influence of the alternative media, adding that the party was reaching out to the IT-savvy Dayaks to to counter the negative propaganda against Barisan leaders. An SPDP SC member was very upset and he did not mince his words,”We in SPDP are all ready.What secret poll.? ?This state election is about the people of Sarawak mandate and they will know who to choose. They know who to choose and BN government after 47 years doesn’t suddenly become a bad government does it.? SUPP Youth Chief (BN Batu Lintang likely candidate) Sih Hua Tong was equally not too happy with the secret polls. He said,”Where are the figures and datas for all to see and its only speculative by the portal. We in BN/SUPP have not stop working for the people of Sarawak and we will continue to ensure that SUPP will remain close to the hearts of the people. The people will not abandon BN and the report of “90% of its current votes, amounting to 10 out of its 12 seats has been made to give the opposition all the more reasons to attack SUPP. We are ready and we will give them a good fight and will not justs believe in the speculations. We believe in statistics and figures and we have done our homework. According to an opposition supporter he says that the BN leaders are indeed not too comfortable with this report and are blaming the portal for stirring up the speculative nature of this article. This will make them(BN) more ready and it might just have a backlash on the Sarawak opposition parties. Very Soon we will know who rules right…!! PM Najib have been meeting up with his friends who have followed him on facebook,twitter and also on his website 1Malaysia.com. As the leader of the BN coalition he has shown the way to his fellow legislators that as the “peoples representatives” engaging with the grassroot is of utmost importance if they want to continue to remain in office. The day they stop listening to the people they might just as well pack their bags and ready to leave the world of politics. As the Sarawak elections looms and as the estimated of 300,000 young voters the BN government are not taking anything forgranted. The Pakatan opposition parties have hogged the cyberspace churning out millions of information in winning over the young voters and also spinning articles in their favour to win the elections. At a meeting this afternoon a strategists reminded bloggers that the cyberspace would be fought bitterly and whoever is focussed and win over the ‘minds” of the voters will sail through. Beautiful it may seem but if a blog is alone the readership is just that much and if no one cares the blog will only “syok sendiri” There are exceptional blogs who can stand alone but many are barely surviving with hardly anyone noticing they exist. Promoting themselves is a ‘herculean” tasks and they musts carry the right message to captivate a return of followers. UMNO UMB has gone through a tough time with many discrediting their existance and many are even accusing certain individuals of protecting their own. Some even project themselves to carry a cause but in fact they are more like ‘mercenaries”. In the real world a good example would be a football team. The Real Madrid player ‘Ronaldo” would just be a another ordinary player if his teammates colloborate to sideline him and make a fool of his abundance talent by not passing the ball to him. UMB BN Sarawak made up of the 4 component parties in Sarawak in PBB,SUPP,PRS and SPDP have come together and put a structure together and organised itself to be ready for the impending elections and beyond. They have sought the help of their counterparts in UMNO UMB and in a short space of time got their act together to do battle in the blogsphere. PM has readied the troops and his recent rallying call at the SUPP rally was,”we will not lose the cyberwar again as we have done in 2008″ The UMB units in each respective state needs to learn from each other to counter the accusations or allegations put up in the blogshere by their opposition parties. Sarawak UMB has stepped up their to the call of both PM Najib and CM Taib. The strategists who forsees an all out cyberwar to gain votes knows that the right information and the right brand will mean a win on the ballot paper. ARE YOU GAME TO BE INVOLVED…??? In the aftermath of the Japanese Sendai Tsunami,foreign aid are quickly coming to assist their fellow humankind. Its good says a Japanese spokesman but they ‘outsiders” don’t know the country well and they only need to aid us while we lead to make the victims lifes better and help them in our own ways.This was what we heard from one of the television stations. Even the USS Ronald Reegan has been sent by the US government to assist in the aid of the Japanese people in their hour of need. audie61 and the crew in our prayers are with the families of those who losts lives and have their homes completely devastated. Our article today will be devastating to some while others might be rubbing their hands with happiness. Our dinner last night with Adenan Satem with a number of Peninsular bloggers was an eye opener. The minister told the bloggers that we need to know the history before we ‘spin’ or get excited by writing articles. In addition you need to know the geography of the country. Sarawak is a vast country with as many as 27 ethnic races and the whole peninsular Malaysia can fit in nicely into the state. Though our population is small around 2.7 million as compared to the Peninsular Malaysia the state has a total land area of 124,450 square kilometer. For the information of those outside the state the major cities are Kuching and Miri while the smaller towns are Sibu,Limbang,Bintulu,Samarahan,Bau,Lundu,Serian,Simunjan.Betong,Sri Aman,Kanowit,Song,Mukah,Tatau,limbang,lawas etc.etc. Many bloggers who are not from Sarawak don’t even know where the hell these places are. Some who have been here and done business in this state might just know the towns mention but some might not even know where Ulu Telian is. Point No.1 goes to sarawak bloggers to lead. They know their topography and their landscape. In the past few months there has been an influx of Peninsular bloggers from the BN and also from Pakatan group who have been seen moving in and out of Kuching. There has also been a number of workshops,seminars gearing the new third force “new media” to get themselves ready for the State Elections. Pakatan group has enlisted professionals in the industry who are more than capable BN Sarawak boys of running for cover. Thier websites like Hornbill Unleashed,Dayaknation,dayakbaru and their ever growing usage of facebook to filter the necessary information down is very crucial. Point 2 for Sarawak Bloggers to lead. 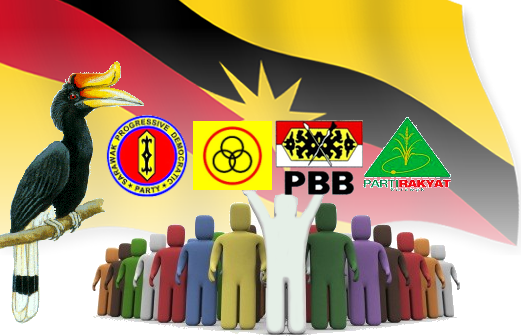 Sarawak component parties in PBB.SUPP,PRS and SPDP has given a green light to start a BN Sarawak UMB to counter the allegations,accusations,and other untrue local stories which has appeared in the Sarawak blogsphere. Appropriate measures of getting the proper organisational struture is in place and is slowly being unleashed and will be full blown at the mosts appropriate time. The Presidents of the party has even given the letters to the Prime Minister Najib Razak that the party has endorsed fully their names and their part in the cyberwar. The Head of the UMB Sarawak by consensus has been given by the three UMB component heads to be under Aziz Adenan who is also the head of UMB PBB. There has been many unkind words of unpleasantness and there has been voices that some of his team are being poisoned to work elsewhere. A posting in this article will ultimately kill their lifeline off and they will curse audie61 till the end of their days. They know who they are and it doesn’t need an expert to point out their URL. They have even sent emails to a government agency who themselves think that the UMB BN Sarawak is headed in the wrong direction under the UMB head. Even now they are so many pro peninsular BN bloggers poisoning each other and some has even reached the shores of Sarawak. An article by theunspinners.blog(Unraveling spin and lies) has left a bad taste in our mouth that is UMB BN Sarawak. We have never doubted the leadership of Aziz Adenan and we will send him for roasting if he is not fighting for Sarawak rights in the blogsphere. Many know what the PM Najib has said in the SUPP rally that he will assist and the UMB BN Sarawak is putting together a team to engage the opposition Pakatan. audie61 has even put out a few feelers in our articles,”Show us the money” which are directed to the ruling component parties that we need assistance too in terms of allocations. The bloggers cannot think and fight on EMPTY STOMACHS. Can you now…?? They need to be taken care of and when their needs are being looked after their minds will be very clear to engage in the political cyberwarfare. They always say,” An empty stomach means an empty mind” You are agreeing with me right…!! Point No3 Sarawak Bloggers to lead..Federal issues are not so hot in Sarawak. 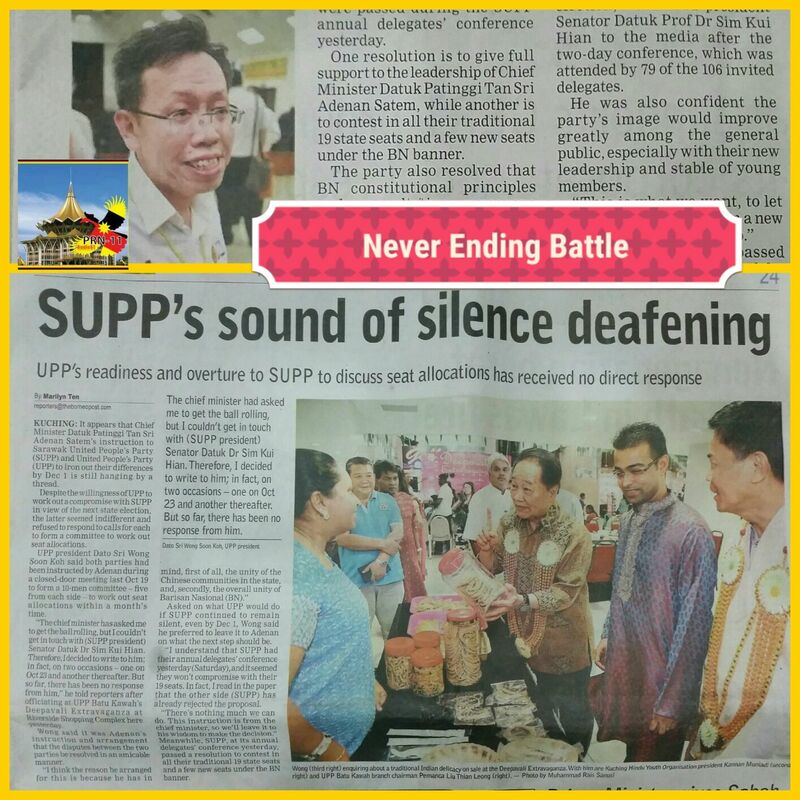 Local issues are the ones which will be fought in the hinterlands/longhouses/villages of Sarawak. Peninsular bloggers who were here last night talked so much about who have they taken down and how they do it. Their unknowing arrogance is not something that Sarawak bloggers will take kindly on and if their attitude of these bloggers are not checked it will be very detrimental to the State component parties. Believe me….!!!! The UMB Sarawak bloggers under Aziz will be able to lead Sarawak as our bloggers know how to engage in Iban,bidayuh,local sarawak malay,melanau and othe r languages which the peninsular bloggers will find it difficult. They are welcomed to assist and aid but they too need to know the meaning of AID. Please check……http://www.globalissues.org/issue/786/aid. Point No4 Sarawak Bloggers to lead.. Who knows better than the component parties bloggers. Peninsular bloggers dont know where SPDP N69 Batu Danau YB is from do they..? They need to read up the area and they will not know how to come to the area unless asssited by the party boys or the agencies that require them. The point is that the component parties bloggers under the UMB BN Sarawak flag will know better what and how their YBs needs help. In a recent meeeting with the relevant authorities and think tanks the Sarawak UMB team has been told in so many words that they will lead the battle and the rests will only aid. Pakatan bloggers are also relying on their local counterparts to give them information so that the news will filter to ground zero. UMB BN Sarawak welcome all the help that is offered but we need to be cruel to be kind and when the battle is firecely fought the outside bloggers needs to understand that we are not sidelining them. A blogger even cheekily said that at the dinner unknowingly “the by election in Sibu the machinery of the SUPP team was not as expected.” SUPP knows their weaknesses and they are rectifying it and Najib has promised assistance and maybe ‘someone” smelt the “colours of money and try to capitalise on their weaknesses. The Chief Political secretary to CM said,” bloggers need to write with passion and soul” and if they are in for the money only in the short term they will not be recognised by the component parties as an integral part of the communications and information bureau arm of the parties concerned. Blogs are not meant only during times of confrontation or blogwar but also useful to pass information to their divisions and cawangans/cabangs whatever names they are in their respective party constitutions. 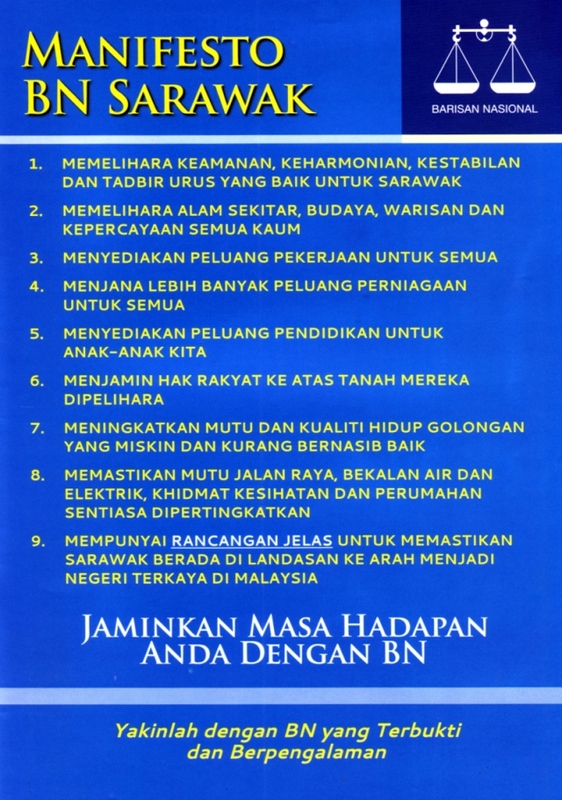 That above is Point No5 Sarawak Bloggers to lead.. “Sarawak bloggers will have the soul to write. Point No6 Sarawak Bloggers to lead.. There has been too many different versions of bloggers from Peninsular accusing each other of some management and monetary issues. We are not accusing anyone but the fact of the matter is that Sarawak bloggers dissatisfation are well under control by their respective party UMB heads. We do not want to be dragged into their issues as such and PM Najib and CM Taib knows what is going on. The component Sarawak party leaders in George Chan,James Masing and William Mawan are also well informed and they are watching closely at all this unfolding in front of their eyes. The UMB BN Sarawak was mooted to give the chance to every aspiring party members to fight for their parties concerned in their constituency and also to assist the BN Sarawak in totality. There is not much time left for infighting within BN Sarawak bloggers and UMB BN Sarawak calls on their BN Peninsular counterparts to respect the wishes and respect we give them but please do not overstep your welcome. We try as much as possible to be accomodating but when the line is crossed without respect shown we will still be nice but the extend of our niceties will be felt. Our UMB BN chief has put his foot down and please show some respect as the Party Presidents have. Don’t listen to wild rumours and audie61 will not for once support him if we cannot work with him and if he is does not show respect to the other component parties within Barisan National Sarawak. Our final word is “lets work together for the betterment of the State and the country as a whole. You know who we are now and please come through the proper channel to have a piece of the action in Sarawak blogsphere.